From the first conversation, it is JCI’s mission to build a relationship with you, our client, through our sales associates’ and designers’ combined knowledge of office interiors. We strive to be your one-stop shop for all of your office furniture needs. We make your office reconfiguration or moving experience easy by providing expert, responsive, and friendly service. Let us help you design your office! Call or email us at design@joycecontract.com. After receiving a call or email, we set up a conference call for you to speak to a salesperson and one of our office designers to determine your office needs. Once your needs are established, we will either come to your office and field measure your space or use a floor plan you provide to lay out the furniture in the most efficient way possible. After the furniture selections are complete, one of our designers will work with you directly to coordinate finish selections based on your company’s personal branding. 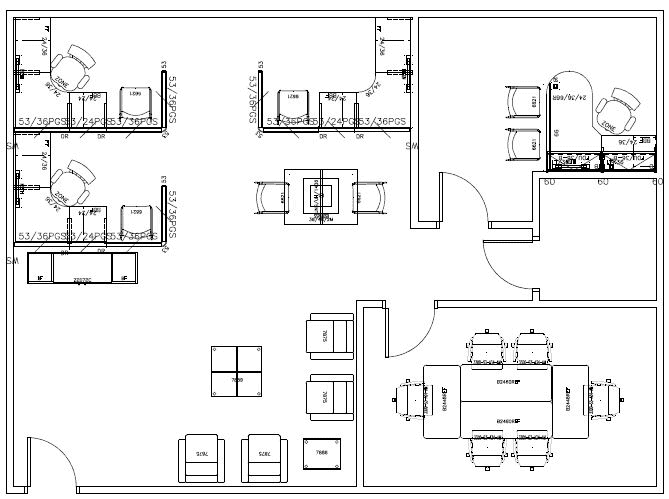 Our designer will then provide 2-D (floor plan) and 3-D visuals to help you visualize your space. After all decisions are made on the furnishings and finishes, we process your order and set up a date with our installation team, accommodating your schedule as much as possible. The salesperson on the job will take on the role of project manager during installation to make sure that your questions are answered and that all of our agreements are fulfilled. Joyce Contract Interiors also collaborates with other facilities professionals—including real estate and construction companies, architects, communications, and relocation companies—to form a complete project team. 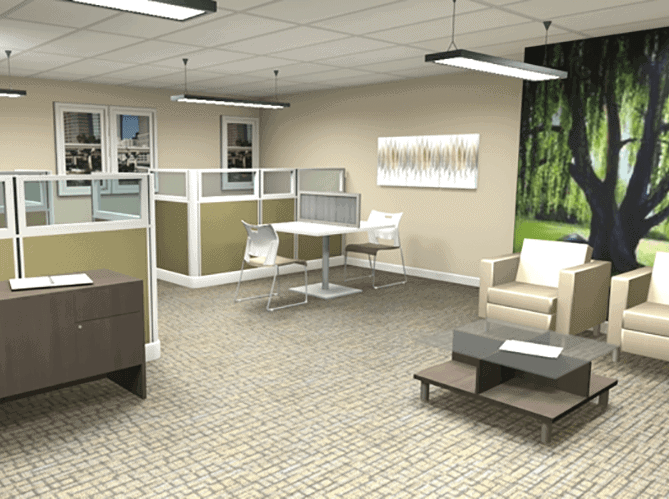 Interested in Our Office Space Design Service?